God told Jonah to go to the great city of Ninevah to preach, but Jonah didn't want to go. He tried to run away from God by going in the opposite direction. He got on a ship. God caused a storm to come. It nearly sank the ship. 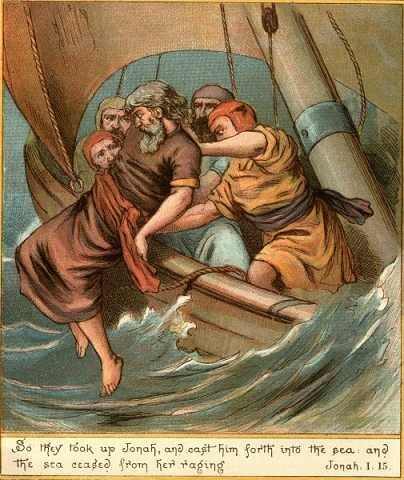 When the men on the ship discovered that it was Jonah's fault, they threw him overboard into the sea, and the sea became calm. God had provided a large fish that swallowed Jonah. Jonah prayed to God from inside the fish and God heard him. He was in the fish for three days and three nights. The fish spit him out onto dry land. God again told him to go and preach to the people of Ninevah, and this time he obeyed. It was a very large city. Jonah told the people that they must repent or they would be destroyed. The people listened and believed. They were sorry for their sins and God forgave them. Jonah was angry. He didn't really care about the people of the city, but God loved them. When Jesus was on earth, he talked about Jonah in Matthew 12: 39. He compares Jonah's experience to his being in the grave for three days and three nights. 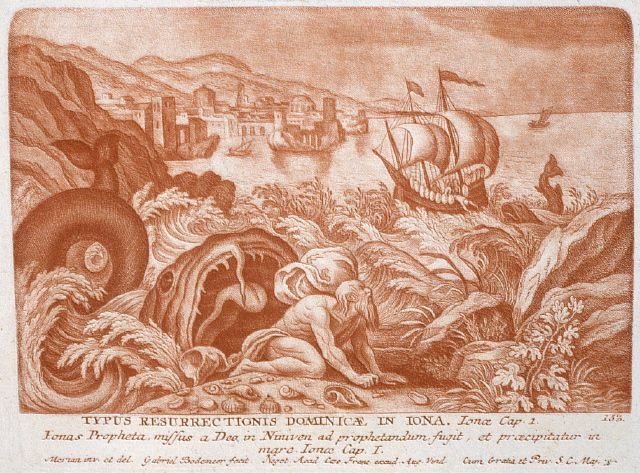 Jonah was unhappy when God forgave the people of Ninevah when they repented. He really did not care about people at all. What about you? Do you care about people, or are you happy when they "get what's coming to them"? It is sometimes hard to have a loving and forgiving attitude. Remember the love that God has shown to you, and try to show that love to others. You can read the story of Jonah in the book of Jonah chapters 1-4. English Bible Activities Select stories #161-163 in the list for activities to accompany this Bible story. Spanish Bible Activities Select stories #161-163 in the list for activities to accompany this Bible story. Press "Go" to search for books about Jonah. is a real whale of a tale. and was swallowed by a whale. and was sorry he had strayed. and that wicked city was saved. God has given us commandments too. For us to keep them is His wish. be swallowed by a fish. This page displayed 191,813 times.